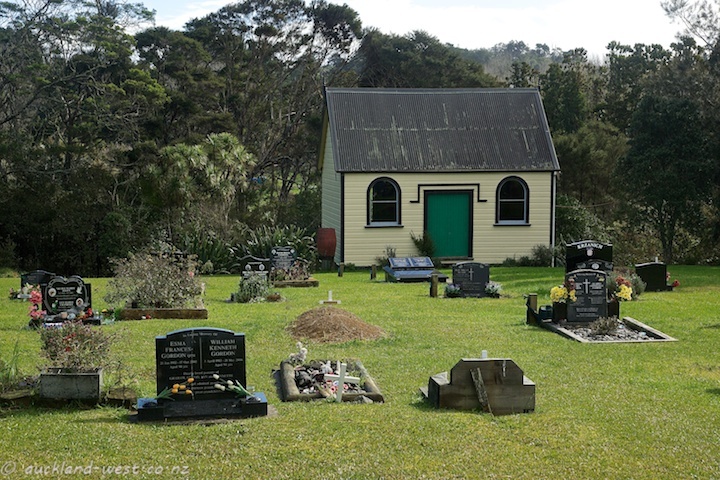 Situated at 541 West Coast Road, the Oratia Cemetery is one of the smaller places of interment around Auckland. 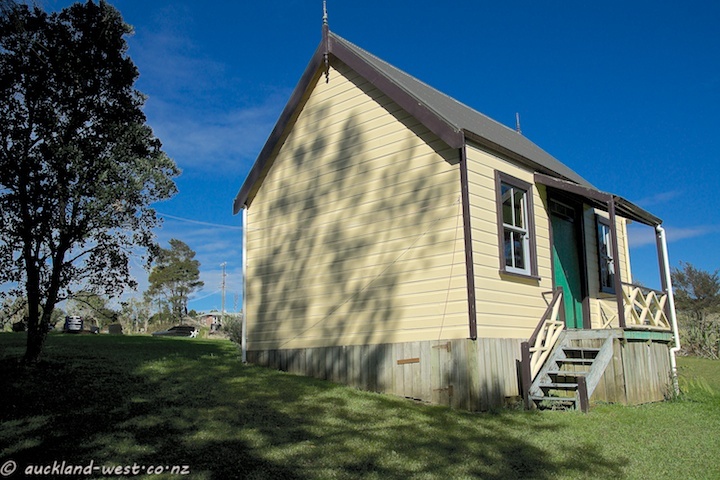 If you enter through the green gate, the view past the gravesites reveals this simple cottage of kauri weatherboards. Built in 1886 in the Jewish section of the vast Waikumete Cemetery, it had fallen into disrepair when it was removed from its original site in 1992. Through the efforts of David Harre, it was relocated and restored in its present location, reopening in November 1999. Used as mortuary chapel and for small events. So interesting, and for me, unexpected. We Jews are certainly dispersed in far corners of the world. I’m surprised that there was enough of a Jewish population in that part of the world. Looks like a peaceful spot. love it! I’m glad it was kept and restored.